The Security Council met to discuss the situation in Palestine. The meeting began with a briefing by the United Nations Special Coordinator for the Middle East Peace Process. He noted the tragedies resulting from the crisis such as 7 Israeli teenagers killed by a Palestinian perpetrator and 11 Palestinians who were casualties of an operation by Israeli security forces. His recommended expanding opportunities for free trade, ensuring continued security coordination, and allowing the Palestinian government to provide more services. He also criticized Israel’s decision not to renew the Temporary International Presence in Hebron or TIPH. TIPH was a civilian observer mission in the West Bank city of Hebron. The Humanitarian Affairs and Deputy Emergency Relief Coordinator also gave a briefing, mentioning that at its core, the situation on the ground is a protection crisis. Ultimately, the solution is not humanitarian but political. However, manny humanitarian problems exist. The Health system in Gaza is at risk of collapsing and essential supplies are scarce. Violence persists from both sides. There is an increase in casualties associated with demonstrations at the Gaza fence. At the same, Palestinian attacks on Israelis persist. Three healthcare providers have also been killed according WHO. The Special Coordinator’s words on the TIPH were echoed by South Africa, Kuwait, Indonesia, and Equatorial Guinea. Indonesia went further to say that the situation seems to be heading towards a one state solution, and warned that no diplomatic missions should be moved to Jerusalem. Notably, while the United Nations has always stressed that this is a crisis with no victim or villain, and no one side at fault, no delegates mentioned that the threats or violence posed to Israeli civilians which have and continue to suffer due to the conflict. Moreover, no delegate gave any inclination of Palestinian’s role in the crisis. The committee began with the re-statement of article 19 stating that a member’s voting rights may be suspended temporarily in the GA if the member state has not yet paid their arrears. As of today, there are 8 member states that did not meet article 19. If the failure to pay is due to conditions beyond the control of the member, situations may be reconsidered. The GA moved forward with article 67 briefing on the situation in Ukraine, from Petro Poroshenko. Poroshenko begins with a discussion of the situation in the temporarily occupied territories of Ukraine. Russian aggression is a violation on the principals of the UN Charter with infiltration, militarized areas, and civilian imprisonment and torture within Ukraine’s Crimean Peninsula. Emphasis was placed on the March 2014 referendum being corrupted, with the Russian government refusing to make statements on the referendum. Poroshenko speaks that there is no crisis in Ukraine, but ongoing military occupation and armed aggression by Russia against Ukraine. Delegates echoed that Russia should release all detained sailors in Russia from the issue regarding the Ukrainian vessels in the Kerch Strait and condemns the actions of Russia. The Russian Federation began their speech highlighting the name of this committee topic as misleading. 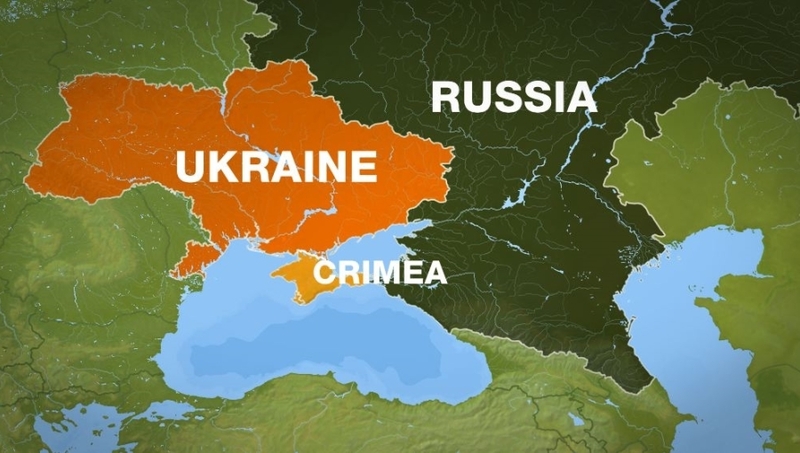 Crimea is Russia. The Russian Federation states that “wherever President Poroshenko goes, there is gunfire,” and continues to emphasize that much of what previous delegates have accused against Russia were based on false accusations. Speakers: Petro Poroshenko, Norway (on behalf of Denmark, Finland, Iceland and Sweden), European Union (on behalf of its Member States and Albania, Georgia, Montenegro, North Macedonia and the Republic of Moldova), Poland, Estonia, Peru, Lithuania, Slovakia, Italy, the Russian Federation, the Republic of Moldova, Latvia, Canada, the United States, Liechtenstein, the Czech Republic, Georgia and Bulgaria. The UNSC met to discuss the situation in Iraq. The meeting began with a briefing by the Special Representative of the Secretary General to the mission in Iraq. She mentioned that among Iraq’s accomplishments Iraq, a new prime minister was nominated, the 2019 budget law was approved, allowing for funding for necessities like electricity, an implementation plan was adopted to allow for the inspection of progress, and 3 meetings between the supreme council and the president took place regarding fighting corruption. However, obstacles still persist. For one, the government is still incomplete. Four ministerial positions are still open, with fierce political disagreements surrounding these. Political parties have boycotted or otherwise interrupted political processes, with the Iraqi parliament on recess. Additionally, while the budget was passed, money is still needed for reconstruction. Too much of the budget is based on oil. Finally, security and terrorist groups still remain a concern. Delegates then proceeded to expand on the representative’s points. Kuwait welcomed the national dialogue taking place in Iraq. It also noted the importance of a completed government to combat extremism and provide for rule of law. The concerns over terrorism were echoed by Indonesia, who suggested the strengthening of relationships with international and regional partners to address the concern. China’s suggestion was to strengthen counter-terrorism organizations and crack down on terrorist organizations listed by UNSC. On the issue of the history of Kuwait and Iraq, Kuwait reminded delegates that the meeting marked the 28th anniversary of the liberation of the state of Kuwait from Iraqi aggression. Kuwait commended the serious desire of Iraq to meet its remaining obligations towards Kuwait, including help identifying remains and the search for Kuwaiti property. It spoke the sentiment shared by many: the Iraq of today has nothing to do with the Iraq of the past. Ms. Jeanine Hennis-Plasschaert, Special Representative of the Secretary-General and Head of the United Nations Assistance Mission for Iraq, began the meeting with a briefing on the current situation. In Iraq, the government is incomplete and in a one month recess as a result of multiple boycotts or protests against the prime minister, Adil Abdul-Mahdi. Hennis-Plasschaert reminds all delegates that political cooperation is the only solution for this issue, and emphasizes that there are many women that are qualified to take roles to complete the government. The importance of oil and governmental funding in the Kurdistan Region for resources as well as regional and international developments were touched upon. This lead back to the emphasis of political cooperation as the most feasible solution. The delegate from Kuwait highlights the 23rd anniversary of Kuwait separating itself from the Iraqi aggression and focuses on humanitarian issues behind the people of Kuwait. Efforts and implementations of plans and programs must be supported to uncover the missing Kuwaiti persons as well as the release of the detained. The following delegates all echoed the importance of UNAMI aid in various sectors giving support to the Iraqi government to solve new challenges in order to develop as a country. Terrorists should be brought to justice in accordance to international and national laws within Iraq. The meeting closed with the delegate of Iraq stating that the government is looking to increase female representation within the government and to protect women from gender-based harassment. The delegate also stated that the country wishes contain the threat of weapons of mass destruction as well as strengthen the educational and emotional health system. This meeting introduced various international platforms such as Food and Agriculture Organization (FAO), Intergovernmental Oceanographic Commission(IOC), and Brazilian Oceanographers Association with a focus on monitoring and sustaining oceans as well as agriculture. These speakers stressed the need for further research and accessibility of data to allow states to better protect oceans. They also called for marine information to be taught to children at a young age to further ocean literacy For example, “Ocean Teacher” is an online website with free courses on methods of fishing and other marine activities to sustain oceans. The Brazilian Oceanographers Association uses research ships to better understand the problems that plague oceans. This dialogue came to an end highlighting that science and research needs to be communicated well and translated to policy to preserves our valuable oceans. This meeting was brought about to discuss the current updates on the future of space, with a specific focus on the safety, security, and commercial actors in space. The speakers shared their insight on the socio-economic impact of space on the future, with the discussion eventually shifting towards the importance of international policy regarding space. It was emphasized that international rules require a consensus among space-faring nations, that are both applicable to public and private entities, specifically mindful of new start-ups. Preventing weaponization and the arms race, and mitigating risks from other human activities is deemed as essential in any international discussion. Moreover, regarding any current and future actions in space, everyone should be considered a stakeholder. Both Low Earth and Geosynchronous (370 km and 36,000 km above the earth, respectively) orbiting satellites play a vital role in our world. They are responsible for communications, data collection, as well as weather, climate, and environmental sensors. Today, nearly 40% of the SDG targets (65 out of 169) are directly supported by space activity. Moving forward, space-actors must also consider the mass accumulation of space debris. While it requires more energy and money to bring down a satellite, the space environment is already at that critical point where the Low Earth Orbit will be inaccessible to satellites in its orbit within the next 100 years. Ultimately, there needs to be an increase in international dialogue among government and private bodies in order to ensure the security and safety of space, with a focus on demilitarization and non-polluting activity. This meeting began with a briefing on the situation in the Middle East by Mr. Mark Lowcock, the UN-USG for Humanitarian Affairs and Emergency Relief. Speaking on the issue of the increasing number of explosive hazards throughout Syria, 25 Syrian citizens are currently being trained on explosive handlement and disarmament. Especially in areas of northwest and northeast Syria, member state support and constant assessment to monitor aid must be reinforced. The delegate from Kuwait set the example for following speeches that echoed the condemnation of the torture, mistreatment, and usage of detention facilities for the Syrian people. Clearly defined conditions on the topic of Syrian refugees returning home must be strengthened. A Turkish-Russian ceasefire was requested as any military escalation would be catastrophic for millions of Syrians as well as Syria’s neighboring countries. There must be a guarantee of humanitarian access while respecting Syrian sovereignty and autonomy. Especially in the case of Rukban, supply deliveries are delayed by months from the Syrian regime placing obstacles for the delivery of aid and criminalizing humanitarian organizations. The delegate from Indonesia called upon the harsh winters as well as the decrease in successful humanitarian aid interventions from the weather while the delegate from France emphasized the differences between aid and reconstruction. Humanitarian aid is immediate need that is subject to principles of strict neutrality, while reconstruction is only envisioned once an irreversible credible and inclusive transition is underway. Many delegates echoed that support for refugees and host countries must be scaled upwards and calls upon stronger international political negotiations which were to be discussed in the following closed committee informal session. The committee ended with the Syrian Arab Republic clarifying stories such as Hassan Diab in Douma as well as the Rukban camp, stating that many of these stories were fabricated to undermine Syrian power. The delegate from Syria requested countries to respect Syria’s sovereignty, territorial integrity, and unity while reaching a political solution to the Syrian crisis.